Family orientated. Caring dedicated staff. Amazing concerts!! We want to make your dance experience as enjoyable and worry-free as possible, which is why we offer our families an all-inclusive price packaging for convenience and ease. Our all-inclusive fee structure is designed to make things 100% easy for busy students and families. We’ve taken the worry and stress out of paying fees by taking all your dance essentials and rolled it up into one easy payment each month. It couldn’t be any easier! 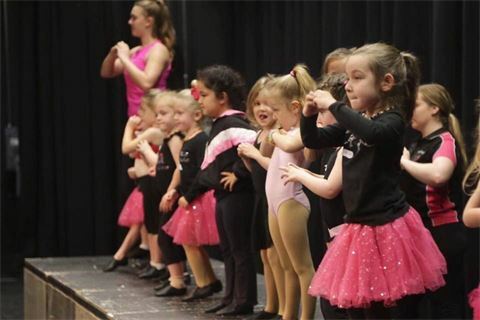 The simple all-inclusive pricing is calculated over 11 months (Feb-Dec) and includes your class fees, costumes, registration fee, rehearsal fee, photo package and more! So what’s included in your price package? The NSW Government is helping kids get active with the new Active Kids AND Creative Kids program and we’re thrilled to be a registered provider for both! 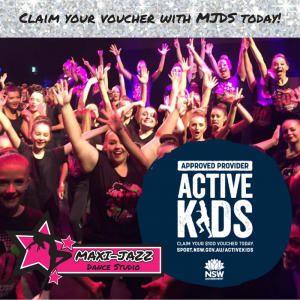 Claim your Active Kids Voucher here with MJDS! 1.1 All monies paid are non-refundable. 1.2 All price packages are a set price, payable per student. Package fees paid, in part or in full, cannot be transferred to another student, altered or credited in any way. 1.3 Prices for all classes, including concert, performance and competition classes, are based on 11 equal full months payments from February – December. 1.4 For any class that falls on a Public Holiday or rehearsal/concert day, 1 free workshop/event pass will be given to be redeemed during the 2019 dance season. 1.5 All monthly fees will be charged to your online account on the 15th day of the month prior (or upon enrollment if after 15th January 2019) and are due to be paid in full by the 1st of the month. i.e February fees will be charged on the 15th January 2019 and are due to be paid in full by the 1st February 2019. 1.6 For students that enroll after the 2019 Dance Season start date (Monday 28th January 2019), the full monthly fee will be charged for the month in which classes are commenced. 1.7 For students who enroll after 1st March 2019, a catch up fee will be charged at $35 per month for each concert class I.e. If you commence classes in April 2019, a catch up fee will be applied for February & March. The catch up fee applicable is due to be paid in full within 14 days of class commencement, or your account will be subject to the $10 administration fee outlined in policy 1.10 below. 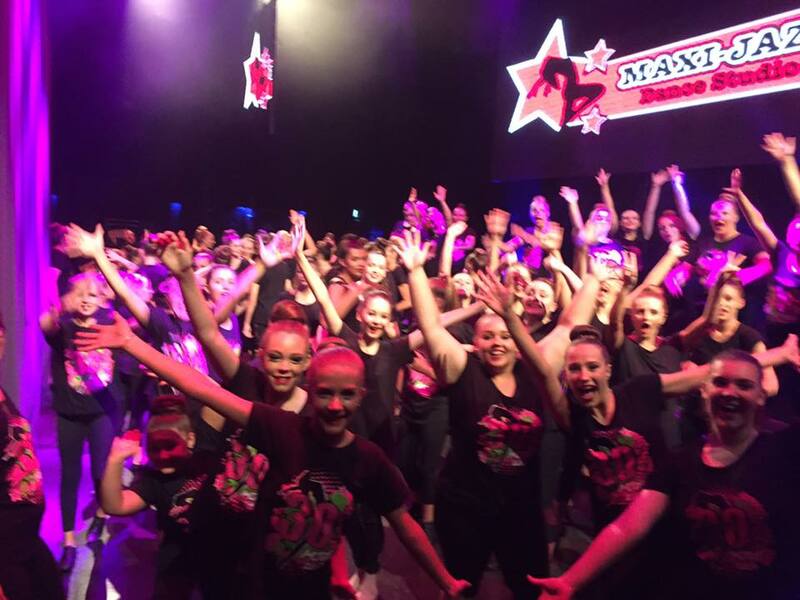 1.8 All students MUST be enrolled in Auto-Pay (our online direct debit payment method) upon registering for the 2019 dance season. All fees will be debited monthly from your nominated credit card on the 1st of each month. 1.9 As of January 1st 2019, Direct deposits will no longer be accepted as a form of payment. Any direct deposit that is paid into the Maxi-Jazz account will incur a $5 admin fee which will be charged to your account. Monthly tuition can not be paid at the office also, this will need to be done via your Parent Portal if you wish to pay it before the auto-pay is taken out in the 1st of the month. 1.10 If your Auto-Pay (Direct Debit) payment is unsuccessful on the 1st of the month, you will be notified in writing and payment will be debited again on the 5th of the month. If the second debit attempt is unsuccessful, a third and final debit will be processed on the 10th of the month, after which your account will be subject to the $10 administration fee outlined in policy 1.11 below. Any/all banks fees associated with the unsuccessful debit attempts will be passed onto the students account. 1.11 If any fees are not paid in full by the due date, a $10 administration fee will be charged to your account 14 days after the due date, with an additional $10 fee charged every 14 days until the full overdue balance is paid. If your account remains unpaid after 60 days it will be referred to a solicitor or recovery agent and any costs, commissions or fees will be added to your account and payable by you (Student or Parent/Guardian). 1.12 If all fees are not paid up to date, you/your child will not receive any costumes for extra performances, photos or the concerts. If fees remain unpaid after 30 days of their due date, you/your child will not be able to participate in the enrolled classes and will be asked to only observe classes until your account is paid up to date as per our ‘No Pay No Play’ policy. 1.13 To ensure that your fees are kept up to date, a copy or your account statement is available for you to view at any time through your parent portal, or can be printed off for you at any time upon request. Statements will also be sent out every week to your nominated email address. It is the student’s/parent’s/guardian’s responsibility to provide an updated email address if required. 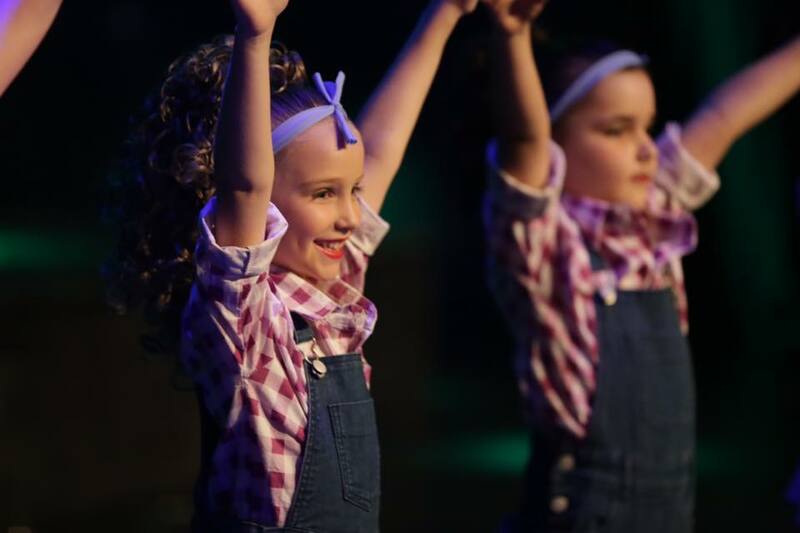 1.14 Any student new to Maxi-Jazz Dance Studio in 2019 can enrol for an Introductory Month of Dance in ANY chosen class/es, within the relevant age group. One full month’s tuition will be charged to your account (per class) and must be paid in full prior to the commencement of your first class. Upon completion of your introductory month, fees will continue to be charged to your account for the remainder of the dance season as per policy 1.5 above and debited from your nominated credit card as per our Auto-Pay procedures outlined in policies 1.8 & 1.10 above. Any applicable catch up fees (as per policy 1.7 above) will also be charged to your account at this time and debited as a part of your next months payment. 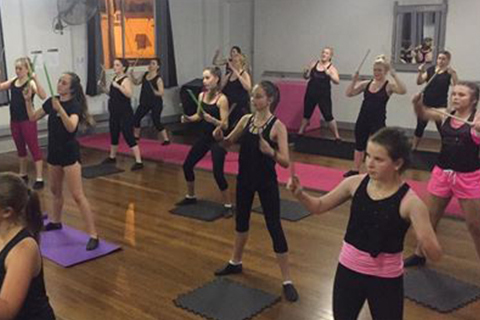 However, if you feel that Maxi-Jazz Dance Studio is not the right studio for you and your family, written notification must be provided by the 14th of the current month, and no further tuition or catch up fees will be charged to your account. 1.15 If for any reason you/your child does not wish to return to class, written notification MUST be given by the 14th day of your last month attending class. If notification is received after this date, the following months tuition will be charged to your account and will be required to be paid in full. No refunds will be given for all monies paid, including if the student chooses not to attend lessons for the remainder of the month in which notification is received. You will continue to be charged for classes until written notification has been received. Written notification is accepted only as an email to maxijazzdancestudio@hotmail.com. 1.16 If for any reason a 2019 timetabled class is cancelled by Maxi-Jazz Dance Studio after the first month of commencement for the season and no other suitable class to be offered to the student to continue their dance education with Maxi-Jazz during this season, compensation will be provided. This will be in the form of a refund to your nominated bank account of $35 (catch up fee portion) per concert class for the full month paid. 1.17 All fees are inclusive of GST and Auto-Pay Processing fees. 1.18 If a student chooses not to continue with their Dance or Cheer competition team class after the commencement of the season (Monday 28th January 2019 inclusive) a $250 exit fee will be charged. 1.19 Dance competition students are required to pay a one off $200 costume deposit in January. This charge will be applied to the student’s account upon confirmation of their Dance Competition team must be paid by the 14th January 2019. This will be charged as an Auto-Pay charge from your nominated account as per your registration information in your parent portal. 2.1 Our 2019 concert dates along with further details will be confirmed during Term 1 2019. They are will be held on the weekend late November / Early December or thereabouts. 2.2 All students are automatically placed in the concert upon enrolment with Maxi-Jazz. With this, you will be required to have costumes (which are included in your price package), the correct dance attire, shoes and hair and makeup requirements. 2.3 Students that choose not to participate in the end of year concerts will still receive everything included in their monthly package price. 2.4 Attendance is required at all classes and is compulsory for all extra rehearsals and concerts. 2.5 There will be 3 extra rehearsals held on Sundays (including Photo Day) and 1 extra rehearsal on a weeknight at the theatre in Term 4 prior to the concerts. More information for times and dates will be confirmed in Term 4 2019. All extra rehearsals are COMPULSORY for all students and the rehearsal fee and professional photo package is included in your all inclusive price package. 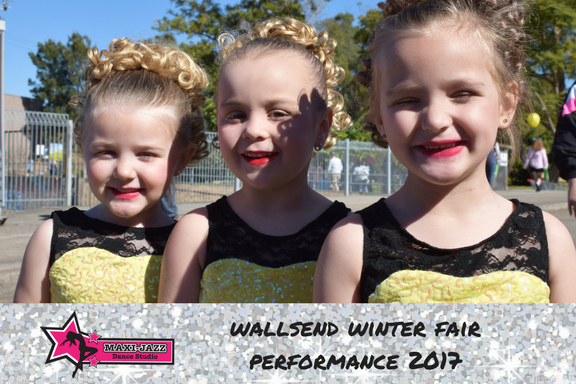 2.6 MJDS students will be provided with the opportunity to perform at a number of community events throughout the 2019 dance season. Any costs associated with the extra rehearsals for these performances are NOT included in the concert price packages, this included the Showtime Team Package. 3.1 You/your child’s photograph or video to be taken in situations including but not limited to; in class, events, performances, rehearsals and concerts, and be displayed, along with their name, (e.g. Y Robinson) on the studio website and social media for promotional or advertising purposes. 3.2 You/your child’s photographs to be taken and edited by our professional photographer on our photo day and at the concert, and to be displayed in the photo package that is received by all students and their parents/guardians. **NOTE: If you do not wish for this to occur, you/your child will not be able to participate in the group photo on photo day and there will be no photos available from the concert night. 3.3 You/your child to be filmed at our concerts, and the recording to be edited and available for purchase for all students and their parents/guardians. **NOTE: If you do not wish for this to occur, unfortunately you/your child will not be able to participate in the concert due to the privacy law and being unable to be taken out of the recording. 3.4 You/your child’s photographs or video to be published on class files (only the class that this student is enrolled in) on the parent portals in situations including but not limited to; in class, events, performances, rehearsals and concerts. This will be viewable for other students and parents within those classes to show class activities, progressions and anything else that the Maxi-Jazz Dance Studio staff feel beneficial to share with the class. **NOTE: If you do not wish to consent to any of the above mentioned policies for you/your child, you are committed to provide written notification outlining removal of your consent, stating the relevant policy numbers (e.g. Policy 3.1). This must be provided by email to maxijazzdancestudio@hotmail.com . 4.1 It is the student’s responsibility to inform their class teacher of any injuries or medical conditions that they are currently being treated for or have been treated for in the past, that may impact their ability to participate in class, prior to the commencement of class. a) 2 or more consecutive weeks during Term 1, 2 & 3, will be required to provide a medical certificate for clearance to recommence full participation in class, if due to injury/illness, or will require a written letter of absence signed by your parent/guardian, if due to being absent. This must be provided prior to the commencement of the students first class back as a hard copy in class or emailed to maxijazzdancestudio@hotmail.com. The student will not be able to participate in classes until one of the above is provided. b) 2 or more consecutive weeks during Term 4, will be required to provide a medical certificate for clearance to recommence full participation in classes and concerts. The student and/or parent will also be asked to arrange a meeting with the class teacher/s to discuss participation in the upcoming concerts, as too much of the physical aspect of classes and rehearsals will have been missed. Students should all be at their peak in terms of flexibility, strength and stamina during the lead up to the rehearsals and concerts. By only being able to walk through routines or having to sit out completely, their muscles will potentially have tightened and mobility will be restricted. While being out of dancing with an injury the students lose so much conditioning and in some cases their return to dance is troubled with added injury or prolonged injury. 4.3 All studio locations have a first aid kit which is available to all students through the class teacher. Due to government regulations, we are unable to provide any student with Panadol, Nurofen or other equivalent medication. 4.4 Maxi-Jazz Dance Studio takes no responsibility for any injuries that may occur. It is the parent/guardian’s responsibility or student over 18 years of age responsibility to provide their own health care insurance. 4.5 Maxi-Jazz Dance Studio must be notified of any allergies, medication or medical conditions that may directly or indirectly relate to their participation in class or other Maxi-Jazz Dance Studio events. If at any time, your medical situation changes, we must be notified in writing. 4.6 In case of an emergency, the staff of Maxi-Jazz Dance Studio will call an ambulance or take your child to an available physician at the expense of the parent/guardian. 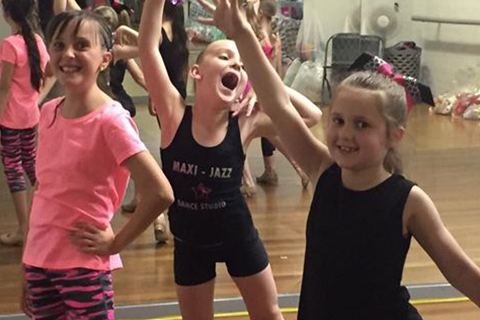 5.1 At Maxi-Jazz Dance Studio, our mission is to provide a professional and family friendly service with quality lessons that ensure our students and families are receiving the best dance experience and education. Our passionate staff build positive relationships through knowing and valuing each and every student and encouraging their passion and love of dance. 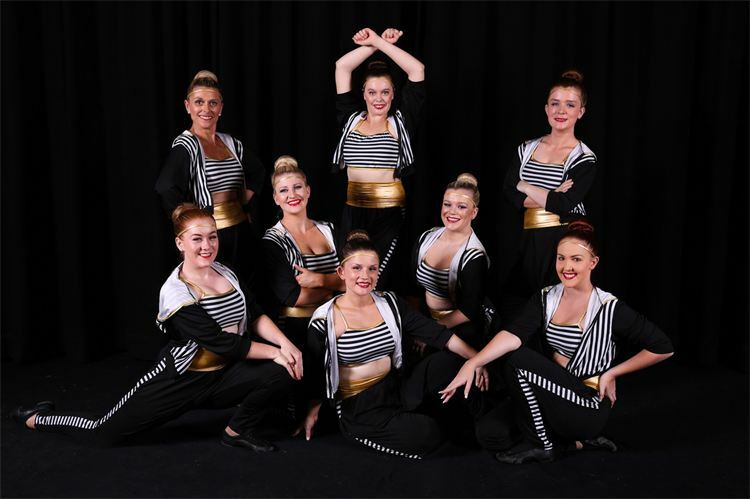 5.2 The core values of our studio are Love of Dance, Teamwork, Acceptance, Confidence and Home Away From Home. These core values encompass who we are and why we do what we do, and worked into every aspect of our studio. 5.3 Maxi-Jazz Dance Studio is a bully free and judgement free zone! We will not tolerate any student being disrespectful or rude to their teachers and/or fellow peers. Students are to be respectful of their Senior/Assistant teachers, their peers and themselves. 5.2 At Maxi-Jazz we endeavour to provide a positive and encouraging environment for ALL students and their families. As such, any parent/guardian or student caught speaking negatively about another student or family, or speaking in a way that will tarnish the reputation of Maxi-Jazz, will be asked to leave the studio. 5.3 We ask that you arrive at least 5 mins prior to the commencement of your class to ensure that you are fully dressed, including the correct footwear, ready to start all classes promptly. 5.4 There is no food permitted during class (this includes lollies or chewing gum). If you/your child are doing multiple classes in a row, please pack something small to eat in between classes, ie. a piece of fruit or sandwich (please, nothing messy and NO eggs or nuts). Please also make sure you bring a water bottle. 5.5 Please make sure all students, especially all our Tiny Twirlers and Petite Feet students, go to the toilet before class commences. Parents are paying for teachers to teach their child, and continuously taking students to the toilet can interfere with valuable teaching and learning time. 6.1 For the purpose of this policy ‘social media’ is a term used for a wide spectrum of user driven content technologies. 6.3 Posts on any of the Maxi-Jazz Dance Studio social media pages do not reflect the views, opinions or position of MJDS, its directors of employees. 6.4 Whilst we welcome engagement in open discussion, feedback, comments, reviews or ideas from all our members, we ask that you do so with integrity and request that all content is appropriate, friendly and respectful to all and remains in line with our code of conduct as outlined above. *Please remember that your anonymity on social media is never guaranteed and to exercise caution when posts, images or videos identify children in your care. 6.6 Photographs/videos that feature any Maxi-Jazz Dance Studio students other than your own are not to be posted online without the proven consent of their parent/guardian. 6.7 To ensure the safety and privacy of our students, their families and our staff, current Maxi-Jazz Dance Studio staff members are not permitted to communicate through their personal social media profiles with any student under the age of 18 or any dance family member. 6.8 We discourage parents / students and teachers from becoming ‘friends’ or ‘followers’ on Social Media, unless there is an existing relationship. We consider all studio members to be family and as such feel the obligation to respect and monitor personal boundaries. 6.9 Families found to be engaging in ‘hidden’ or ‘private’ groups formed for the specific purpose of discussing studio matters will be encouraged to join our closed Facebook group for current students/families, and warned against discussing studio matters in their private online groups. 6.10 Maxi-Jazz Dance Studio’s decision to follow a particular social media page does not imply endorsement of any kind. Similarly, the appearance of a social media page as a follower or friend of Maxi-Jazz Dance Studio does not imply endorsement. 6.11 All material posted by you will be regarded as public information and may be treated by us as such. In particular, by posting on our social media pages, you acknowledge that we (and/or anyone else) can use, copy, reproduce, modify, publish and distribute the material in any and all media or distribution methods; however, this does not imply endorsement on the part of Maxi-Jazz Dance Studio. This also means we can reproduce your posts for promotional or commercial purposes (with no compensation paid to you). 6.12 The contents of our social media pages are intended for informational purposes only. Maxi-Jazz Dance Studio shall in no event accept any liability for loss of damage suffered by any person or body due to information provided on these sites or linked sites. Violation of this policy may result in you being barred or removed from Maxi-Jazz Dance Studio social media pages. If you have not danced before at Maxi-Jazz, you may be required to purchase any of the following items due to our policies and guidelines: All the items required for your dance year are available to purchase at our Dance Retail Shop. Correct Dance Footwear (Jazz, Tap, Ballet, Ballroom, Latin or Contemporary Shoes, Cheer shoes not available from our retail shop). Donut Buns for the concerts and any extra performances for all Preteen, Inter and Senior Classes (Approx $3). Spiral Curl Hair Wig Pieces for the concerts and any extra performances for all our MAXI’S MINI’s Program Students ($40 from our Dance Retail Shop) – These are compulsory for all performances and concerts. If you are looking for something different to give as a gift this year, why not give the gift of dance! We offer gift certificates in any amount you require for the recipient to spend in the studio on whatever classes, private lessons or shop items they wish to. For more information about our fees, please get in touch to send us your details. We will then send you out your FREE information pack, including our current timetable and fees.